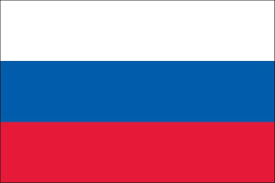 Russia | Draft Amendments No. 5 to the Customs Union Technical Regulation "On Safety of Food Products"
Draft Amendments No. 5 to the Customs Union Technical Regulation "On Safety of Food Products" (CU TR 021/2011) are elaborated in accordance with the Plan of development of technical regulations of the Eurasian Economic Union and amendments to the technical regulations of the Customs Union, approved by the decision of the Council of the Eurasian Economic Commission of 1 October 2014 N° 79 (as amended by the decision of the Council of the Eurasian Economic Commission of 12 February 2016 N° 43). Draft amendments No. 5 to the Customs Union Technical Regulation "On Safety of Food Products" (CU TR 021/2011) are formulated to bring it in accordance with the Treaty on the Eurasian Economic Union of 29 May 2014 regarding the exclusion of state supervision (control) as a form of conformity assessment, and clarification of the definition of "process of production (manufacturing) of food products”.